The Puits de Legumes Restaurant in Paris is a delight for those of you that are Vegetarian or Vegan, and has special menus along with options for takeaway and even a deli for fresh produce that you can home or back to your rental accommodation. 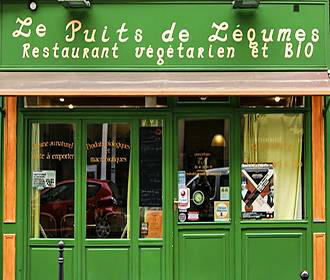 Now the Puits de Legumes restaurant is a Bio restaurant in Paris where they specifically cater for Vegetarians and Vegans with 100 percent homemade dishes on offer that will also delight the macrobiotic food lovers amongst you. With a warm and friendly atmosphere to the restaurant, you will feel kile home from home, yet there is also a small delicatessen where you can choose fresh produce and different products to take back to your own home or holiday rental accommodation and cook at your leisure. 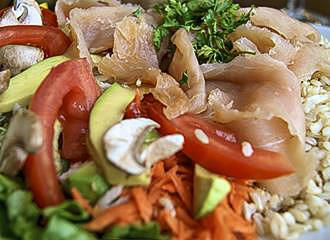 However, for those of you that are too lazy to cook for yourself, but want to enjoy a vegetarian meal in a different location rather than in the restaurant itself, then there are many different takeaway options also available. At this restaurant you will find that there are lunch menus served on a Monday to Friday that even include dishes such as assorted raw vegetables or salads along with natural yoghurt and even apricot soy yoghurt. There are also many different types of menus on offer at Le Puits de Legumes including a green salad, wild salmon, rice and hot vegetables with a dessert of the day plus a glass of wine for €18 as of 2014. 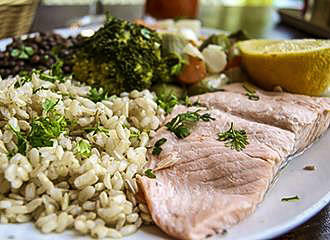 However, lots of other types of fish are also available such as tuna, herring, smoked trout, and even a seaweed tartare, plus there are delights like a green salad with fruit and nuts, tofu with raw vegetables, omelettes and vegetable soup. Not forgetting that this restaurant in Paris also offers a wide variety of different fresh juices including carrot, beet, orange, etc, even though a lovely Chardonnay wine is also served as an accompaniment to some meals, so for anyone that is vegetarian or even vegan, then this is definitely a must to visit. You will find the Puits de Legumes Restaurant located in the 5th Arrondissement of Paris between Cardinal Lemoine and the banks of the River Seine close to the Institut du Monde Arabe and the Musee de la Prefecture de Police Museum. It is open on a Monday through to Saturday from midday to 4pm and then from 7pm through to 10pm, however it is always closed on a Sunday, and as far as we are aware, it is also closed on National French holidays, but you may be pleased to know that animals are accepted. Now when it come to getting to Le Puits de Legumes, the nearest Metro station is called the Cardinal Lemoine, yet other modes of transport in Paris are also available like the buses in Paris and the Batobus water bus that stop near the Ile de la Cite island, with this restaurant being located only a short walk from the Ile Saint Louis.